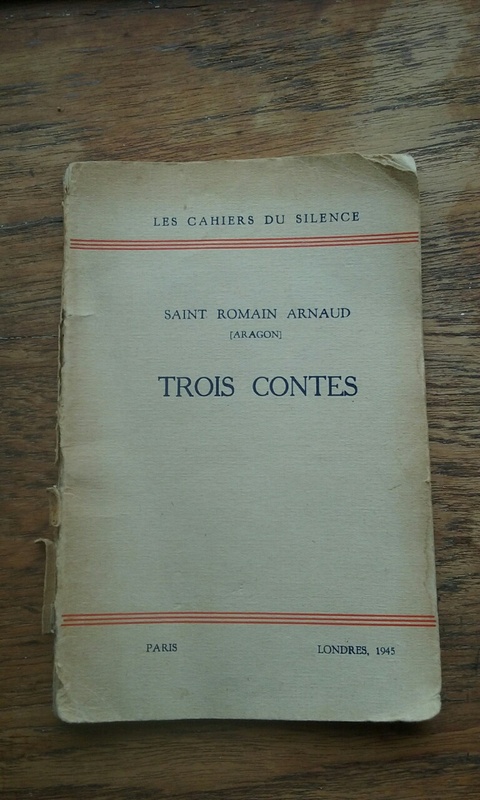 I am working on three fascinating short stories by the great French writer, Louis Aragon, which were lost for many years, having been published cladestinely during the war under the pseudonym Saint Romain Arnaud. I found this little book in a junk shop in Paris (picture below). The stories are about life under Nazi occupation: a bickering elderly couple are visited by a Gestapo search team; a bored country priest becomes the unwitting accomplice to a resistance bomb plot; a sports journalist charts his own political journey via a decade of cycling events. Witty and chilling at the same time, with an almost journalistic approach to narration, these stories are very unlike his surrealist writings. Watch this space for availability via Thin Man Press and Kindle. This entry was posted in Uncategorized on April 12, 2017 by susandemuth. The ongoing exhibition at the National Portrait Gallery, which ends 29 May 2017, places Claude Cahun – whose most important literary work, ‘Disavowals’ I translated from French for Tate Publishing – alongside contemporary British artist, Gillian Wearing. Both artists, born seventy years apart, deal with universal themes of identity, gender and notions of self-disclosure often via self-portraiture and masquerade. It took me three years to translate Cahun’s complex and utterly unique work. I was commissioned by Professor Dawn Ades, who gave a very interesting talk about the exhibition (for which she wrote the catalogue introduction) at the NPG last week. I was in the audience, and in the course of the event, she frequently referenced my book and even waved it around so that the audience could see it! I have to say that I am rather baffled that nobody from the NPG saw fit to invite me to participate in any of the events associated with the show; when Professor Ades talked about self-portraiture and the ambiguity surrounding the attribution of Cahun’s photographs (taken by her companion, Susanne Malherbe) I wanted to jump up and down and spout my theory about this which comes straight from the pages of the book. Ha! Not wishing to appear bitter and twisted (B&T) allow me to recommend the show to you!